28 banks are now authorized to open Sukanya Samriddhi Account. This information was stated in RBI circular RBI/2014-15/494 dated 11th March, 2015. Let’s check which banks are authorized to open Sukanya Samriddhi Account. According to this circular banks are advice to follow rules and regulation of Sukanya Samriddhi Account mentioned in RBI circular dated 2nd Dec, 2014. It is mandatory to report all transaction done for Sukanya Samriddhi Account by bank. i.e. receipt, payment, penalty, etc to RBI. This is to maintain uniformity in reporting, reconciliation and accounting. For further information refer to RBI Circular. Apart from this RBI also provided Specimen Application Form for opening Sukanya Samriddhi Account. This account can be open on girl child name age 10 years or less. Only single account can be opened for girl child. This account can be opened at any post office or at banks mentioned above. It is mandatory to submit birth certificate to open this account. Maximum deposit amount is 1.5 Lac per year. 1% interest is applicable on this account for FY 2015-16. 50% of Amount can be withdrawn from this account on 18th birthday of girl child for education or marriage expense. This account can be transferred from bank/post office to other bank/post office. Maturity date of this account is 21 years after opening the account. « Zero Tax – How 10 Lac Income per year can be tax free? Last month i read in news paper that, the age limit for opening of this accoun increased to age to 11 (eleven) for the current year, 2015. But the state bank of india vyttila , ernakulam, kerala saying that they dont have informatio regarding extention of age, to 11. I am interested to start this account of my Daughter name. She will be 11 years on May 29 2015. So i dont have much time to start this account. Please guide me , what i have to do.As well as to Bank also. You are correct that 1 year extension is given for SSA. Kindly contact nearest post office to open this account. Most of the banks, especially SBI is not coming forward to open Sukanya a/c, despite the circular of RBI. In postoffice, it is going on, but the authorised Banks are not taking prospective actions in this regard. Hope Govt. would take serious note of it because through bank the payment can easily be deducted by the bank itself by giving standing instructions. Thank you so much Raviraj for providing the exact information to me. 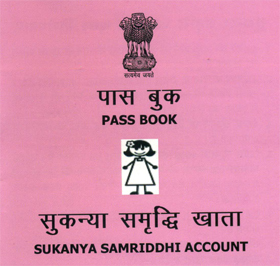 I would like to know more about the required documents which are mandatory for opening Sukanya Samriddhi Account.